An EBF Maiden Fillies' Stakes (Plus 10) over 6f. Pressed for time so I will try to keep this to the point. I know this is usually famous last words but I am endeavouring to do so today as I'm losing the will to live. I will quickly disregard seven of these identified by their absence. David Elsworth is a trainer I keep a very close eye especially with juveniles on their second start. Tisbutadream was well backed when making her debut at Newmarket back in June. In fact, this daughter of Dream Ahead was hammered into 5-2 from double those odds. That's where the story ends for most punters. She finished second from last between over seventeen lengths. This 100,000E yearling purchase hasn't been seen for one-hundred and sixty days. That lengthy spell on the sidelines suggests this March foal had issues. Her starting price suggests this youngster has ability. Although this looks a competitive heat, if priced in single figures I would give this chestnut filly sound each-way claims. If weak in the market I'd take a watching brief. At the time of writing this post, Warba is surprisingly short in the betting. This daughter of Intense Focus was trained by Joseph Tuite but now with Mrs. N M Hugo who is based at Edge Green, Cheshire and a licenced trainer for two years. I have no knowledge of this handler regarding training of two-year-olds. This is her first runner! Strange why this juvenile is priced at 9/2. Perhaps the word is out this filly has ability. I would take a watching brief. John Gosden doesn't lack for quantity or quality of two-year-olds. *Luqyaa showed promise on debut when racing a the end of the turf season. This daughter of Canadian sire Smart Strike is out of a talented mare. She won on her debut. Prevailing next start at Royal Ascot taking the Queen Mary Stakes Group 2. Finished fourth in the Lowther Stakes Group 2. 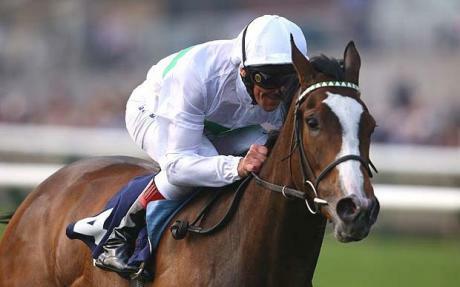 And concluded her formative season being placed in the Cheveley Park Stakes Group 1. She raced six times at three with the highlight of a superb career finishing third, losing by two lengths to Blue Bunting, in the 1000 Guineas. Exceptional. Luqyaa is a homebred for Hamdan Al Maktoum. Relatively fancied on debut at Newmarket when third behind Roger Charlton's Yellow Hammer. This January foal looks a serious horse and bred to be a winner. A couple of debutantes worthy of note here, particularly Charlie Appleby's Endless Charm. For starters, I can detail this daughter of Dubawi is held in high regard. She's out of a multiple-winning mare including a Group 3 victory at San Siro, Italy. She was something of a globetrotter racing at France & the United Arab Emirates where she concluded her career. Endless Charm has been on our radar for some time and it is a significant indicator that this February foal is racing at this time of year rather than put away for the winter. It is never easy for any juvenile to win on their racecourse bow especially against talented horses with experience. Bird To Love represents Ralph Beckett for Mrs. Robert Langton who bred this bay daughter of Delegator. Beckett can train debut winners which often go well at fair odds. Conclusion: An intriguing race. The bigger priced horses cannot be, wholeheartedly, ruled out but the major fancies will take some stopping. I would be surprised if one of these five doesn't hit the line first. The betting is key for Tisbutadream. If backed to single figure odds, I would give this filly each-way claims. If weak in the market I'd take a watching brief. Bird To Love may have her fans but I will watch today. I really can't figure out why Warba is a short price because from what has been seen she shouldn't be 9/2. Considering this is Mrs. N M Hugo's first two-year-old runner it adds to the mystery. I can only imagine this horse has been detailed in the press and bookmakers are being careful. I would imagine she will drift in the market. Luqyaa is well bred and showed ample promise on debut. Will be primed and take all the beating. Very interested in Endless Charm who is held in high regard. Betting on debutantes can be a frustrating endeavour at times. A slow start over 6f can crush any bet. If touching each-way odds I'd be looking at this juvenile. In truth, it may be wise to back the favourite and Appleby's charge.